Canam Consultants Mohali - Study Abroad Consultants is located at SCO 72, 1st Floor, Phase 3B-2, Sahibzada Ajit Singh Nagar, Punjab . User can find the complete detail on profile of Canam Consultants Mohali - Study Abroad Consultants, along with option to book class online. 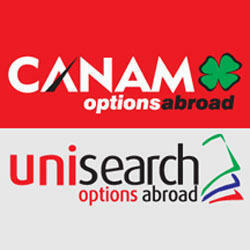 Canam Consultants Mohali - Study Abroad Consultants is engaged in the imparting education to students of all age group. Students and parent will also get the option to check subject wise fee they charge and compare the same with the other tuition / coachings nearby location. Study overseas has become a big trend in India. Some states like Punjab, Gujarat, Kerala and, Karnataka are the major markets. Students from all across India come to us and ask for suggestions for their further studies outside India. We always counsel them for the best overseas education options available for them. There is a variety of student backgrounds, some want to study abroad just because they have dreamed of it, some come to us asking about suggestion for the future settlement, some come to us with the intentions of earning money too. We can not take everyone the same way. Students have plenty of choices now a days when they start thinking about overseas study options. Overseas education consultant in Ajitgarh.